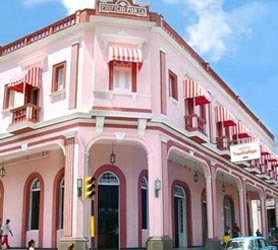 Right in the bustling center of Pinar del Rio the colonial style corner mansion turned into Hotel Vueltabajo was constructed in the 19th century and offers a perfect base from which to discover the city and beyond. From the Hotel Vueltabjo you’ll have direct access to Pinar del Rio cultural life, it’s amazing Art Gallery, Troubadours’ House, the civic center, local cigar factory, the House of Havanos, not to mention the famous Guayabita del Pinar rum distillery. Right from the hotel you can book its daily excursions to the Viñales valley, the Guanahacabibes peninsula, Cayo Levisa and Cayo Jutía, and other natural ecotourism attractions to be found in Pinar del Rio Province. Hotel Vueltabajo features 39 air-conditioned rooms, including 2 mini-suites all of which have bathrooms, views of the city and an impressive lobby area still decorated using elements from its rich history. Our booking process is unique because it shows the best rate from all of these for Vueltabajo hotel in Pinar del Rio and the types of rooms available. 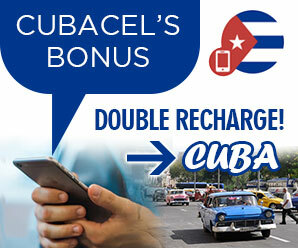 Our Vueltabajo Pinar del Rio rate comparison is an industry first for Cuban Hotels. Once you’ve compared the rates, finalizing the booking at Vueltabajo Hotel takes just seconds and an immediate confirmation is provided in real-time.